Drones have turned the photography and filming industry on its head, providing a new, fast and easy way of capturing incredible sky images and videos. As amateur and pro photographers continue to invest more and more in drones for their aerial photography, it has also become equally important to invest in high quality solutions for storing and safely carrying their drones to remote filming locations. Luckily, there is no shortage of carrying solutions which are specifically tailored for carrying and protecting drones as well as all their delicate accessories. In this review, we take a detailed look into the Lykus Water Resistant Backpack for DJI Phantom 4/3/2 series. 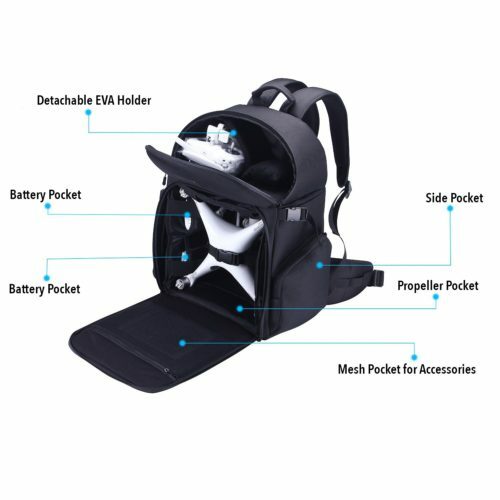 This backpack style carrier is made by Lykus, a brand that has created a name for itself as a manufacturer of products meant to improve the functionality and ease of use of tech devices and appliances, with the aim of giving the users a better experience. It is with this in mind that they made the Water Resistant Backpack for DJI Phantom. Like the name suggests, the backpack is designed for the DJI Phantom range of drones and is made using water resistant material, making it perfect for outdoor use, even in cases where you might be caught by rain on the way to or from your filming location. The Lykus Water Resistant Backpack for DJI Phantom is about 1/3 larger than an ordinary school backpack, though it appears to be and feels like a standard backpack. Despite its seemingly bigger size, the Lykus Water Resistant Backpack for DJI Phantom is surprisingly light. It is made of durable 1680D Nylon water resistant material. The backpack’s main body contains two large compartments. The bottom compartment has been designed to hold the drone and a couple of accessories. Unlike most drone backpacks, the Lykus does not come with a precut foam interior. Instead, there is a large interior space that is surrounded with ample padding to protect your drone from any kind of impact. At the center, the backpack is fitted with a small, square “pillow” which provides additional protection for the camera assembly. 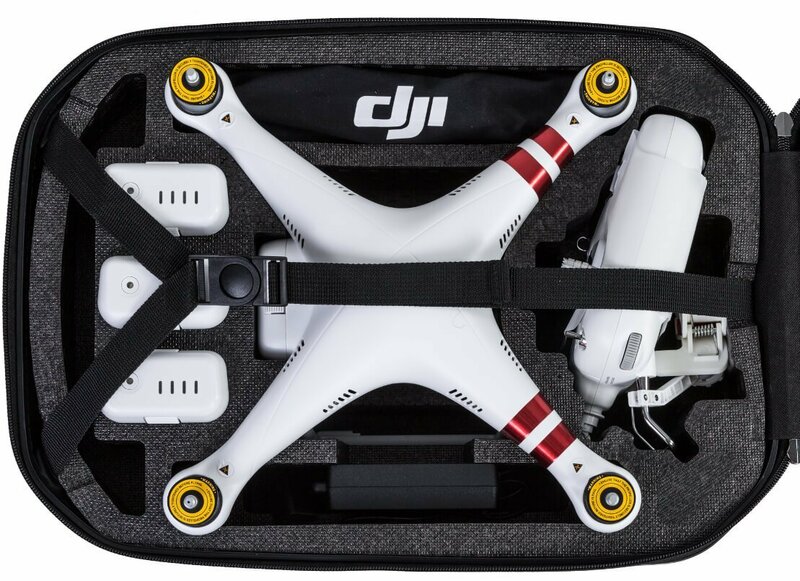 It also comes with an adjustable strap that securely buckles the drone to the interior, ensuring that it sits tightly without any space for movement. On each “wall” of the interior space is a netting that can securely hold 3-4 battery packs. The compartment’s flap has a flat zippered pocket which can be used to hold flat items such as a manual or a small cable. The top compartment is a large space that is shaped like a semi-circle. The space is divided into two sections by a Velcro panel. The good thing is that the panel can be easily moved to the right or left as required, or even taken out completely if you need to fit in something that requires the whole space. The interior of the upper compartment is lined with a soft, slightly fuzzy material that prevents scratching and protects finishes. This upper compartment can be used for securely storing the charger and controller. Apart from the two main compartments, the Lykus Water Resistant Backpack for DJI Phantom has two nice pockets on each side. Additionally, the upgraded model of the Lykus comes with a 12 inch long zipper on the wearer’s left, which opens into a flat pocket that can hold a tablet or a small laptop. The tablet would occupy the space between the wearer’s lower back and the drone compartment. 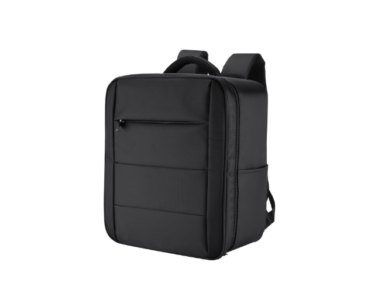 The Lykus Water Resistant Backpack for DJI Phantom is fitted with thick soft padding in the shoulder straps as well as in the back and waist regions. This reduces pressure on the wearer and makes the Lykus an extremely comfortable bag to carry, especially during lengthy hikes to the filming location or during long waits at the airport or train terminus. The backpack is also fitted with a single carry handle at the top and an adjustable padded waist belt. The Lykus Water Resistant Backpack for DJI Phantom is designed to comfortably fit all the drones in the DJI Phantom series, including both the standard and pro versions of the Phantom 2, Phantom 3 and Phantom 4. 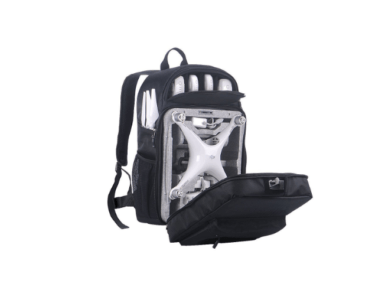 Since this backpack does not come with the usual pre-cut foam interior, it can also be used to carry other similar-sized drones such as the Ghost drone, the XiroXplorer or the Husban X4 Pro. 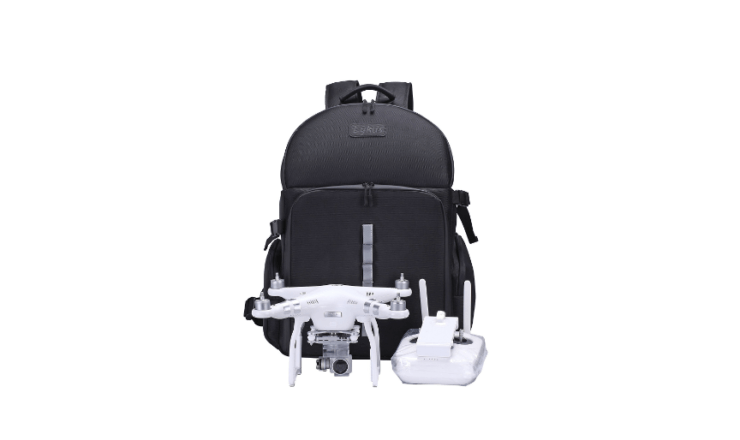 Lykus is committed to providing high quality products, and therefore, the Lykus Water Resistant Backpack for DJI Phantom comes with a one year replacement/return warranty. If you receive a defective bag, they will replace it for you without any hassles. However, it is good to note that the warranty does not cover defects brought about by the user. Other fine details of the warranty are available upon purchase of the backpack. The backpack is well built using high quality materials that make it durable. It has a well thought out design that is both appealing and useful. It has adequate padding which is important for protecting a large investment. The large size provides enough room for the drone, propellers, controller, batteries, cables, charger, manual and so much more. Apart from the somewhat larger size, it would be hard to tell that someone is carrying a $1200 drone inside the bag. The all black design might be visually boring for some people. It would have been nice if they had included a side netting for carrying a water bottle. The DJI Phantom drones do not come cheap, therefore it’s important to invest in keeping your drone protected. The Lykus Water Resistant Backpack for DJI Phantom provides a comfortable, secure and convenient way of storing and transporting your DJI Phantom. It has ample space to securely fit in your drone together with all its accessories and has adequate padding around the interior to protect the drone from any impacts. The thick, soft padding in the shoulder straps and around the back and waist regions ensures comfort for the wearer. Overall, the Lykus is the perfect backpack for the DJI Phantom series. This case is featured on our Best DJI Phantom 4 Backpacks article as well as our Best DJI Phantom 3 Backpacks article.